Set the table for fall with a show-stopping arrangement of seasonal foliage, fruit, and grasses. 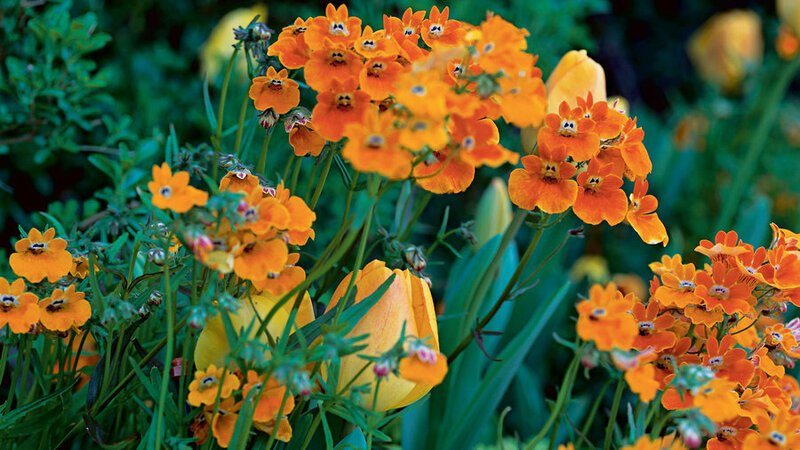 Cool-season flowers bring a splash of color to your garden right when you need it most. 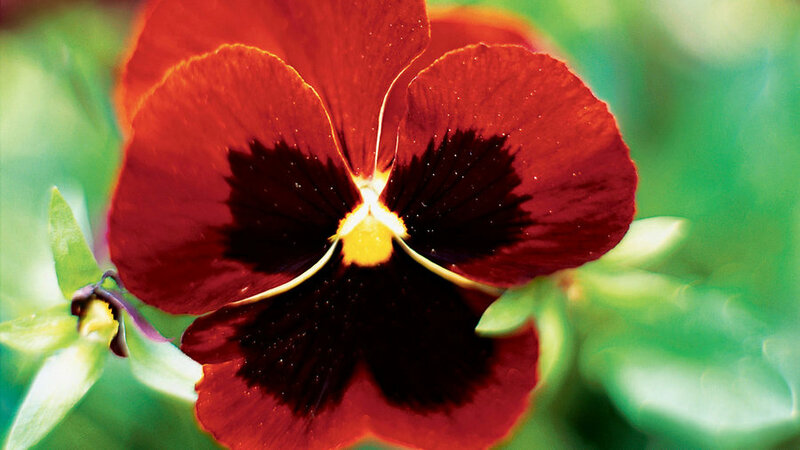 Where freezes are infrequent, you can plant cheery pansies (pictured), snapdragons, English daisies, and more from early fall through late winter. They'll overwinter, filling your borders, containers, and pocket gardens with months of flower power. In cold climates, plants will die off in winter but can be planted again in spring. 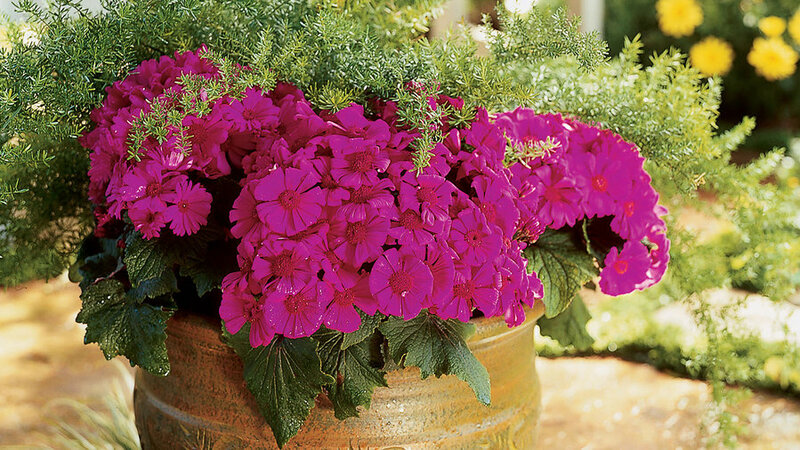 Look for sturdy plants with good leaf color in six-packs and 4-inch containers. Click ahead for some of our favorite picks for the cool season. Daisy-like calendula provides easy color from late fall through spring in mild-winter climates, and are long lasting in a vase. Choose classic orange and bright yellow, or opt for subtler shades of apricot, cream, and soft yellow. Branching plants are 1 to 2 feet high and 1 to 1½ feet wide and look great as masses of color or in a container. 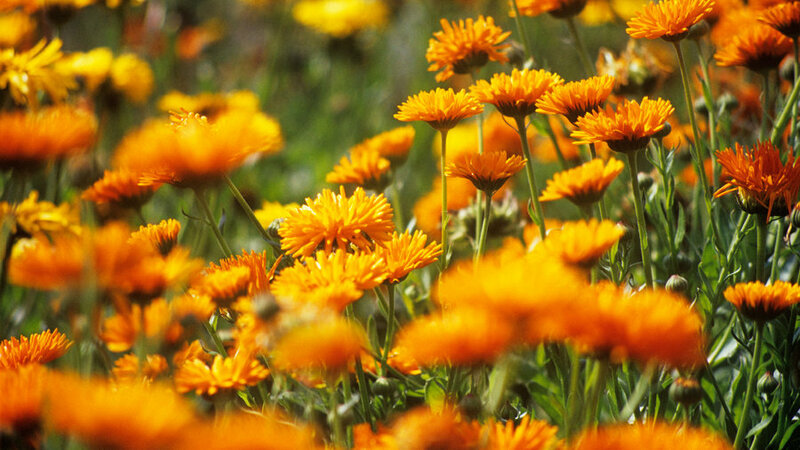 Calendula plants take full sun and moderate water. They will tolerate many soils as long as they have good drainage. Remove the spent flowers to prolong bloom. Candytuft plants grow 8 to 12 inches high and wide; their narrow, shiny dark green leaves look great all year. Pure white flower clusters are carried on stems long enough to cut for bouquets. Choose 'Alexander's White' (pictured), ‘Autumnale’, or ‘Autumn Snow; they bloom in spring and again in fall. Plants thrive in full sun or part shade and regular water. 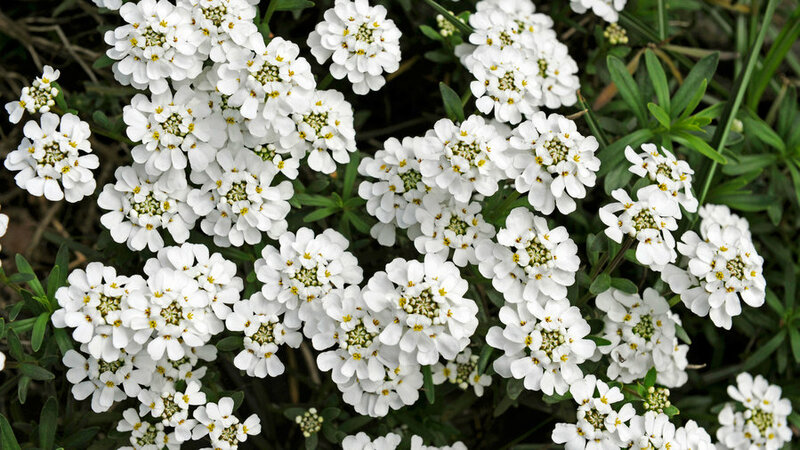 Candytuft needs well-drained soil and should be sheared lightly after bloom to stimulate new growth. Made for the shade, florists' cineraria adds intense color to dark corners of the garden. Cineraria grows to 2 feet high and wide with daisies ranging in color from white through pink and purplish red to blue and purple. Plants need partial or full shade along with regular water and loose, rich soil. Discard after bloom, even where perennial. Here it's combined with asparagus fern in a 15-inch-wide glazed terra-cotta pot. 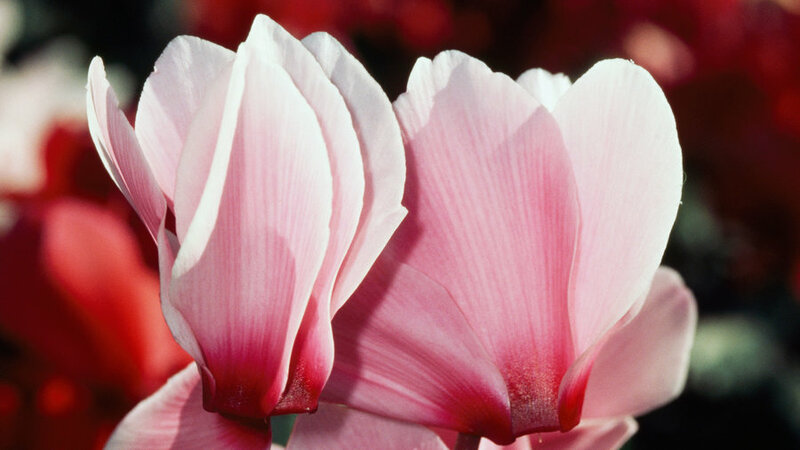 Large-flowered florists’ cyclamen (pictured) is most often seen as a container-grown gift plant though they also make great bedding plants (see cyclamens in a garden). Plump, perky English daises make great edging plants. Or slip a few into your lawn for unexpected bursts of color. Dark green leaves are 1 to 2 inches long and form rosettes to 8 inches wide. Pink, rose, red, or white flowers are borne on 3- to 6-inch stems. Deadhead to prolong bloom. 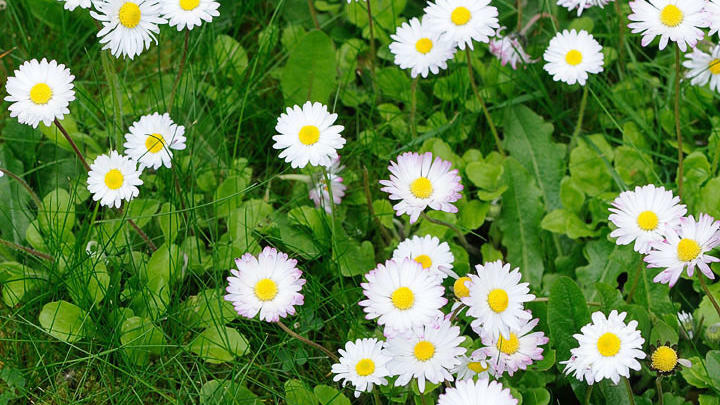 English daisy needs regular water and prefers a bit of shade in hot climates. Erica is grown for small, needlelike leaves that become showered in small flowers. Blooms that may be bell shaped, urn shaped, or tubular. Plants can be small and mounding, no taller than 6 inches high or a tall upright or sprawling shrub, as high as 6 to 10 feet. Heath needs excellent drainage and acidic soil. Sandy soil amended with organic matter is ideal. Water carefully and consistently – plants will not tolerate standing water or absolute dryness. Shear or cut off faded flower spikes, but don’t cut to bare wood as new growth might not resprout. They range in color from white and green through pink and red to deep purple ('Party Dress' is pictured here). Flowers persist beyond bloom periods, gradually turning green. With their tall, leafless stems that dance in the breeze, Iceland poppies are graceful companions to many cool-season plants. 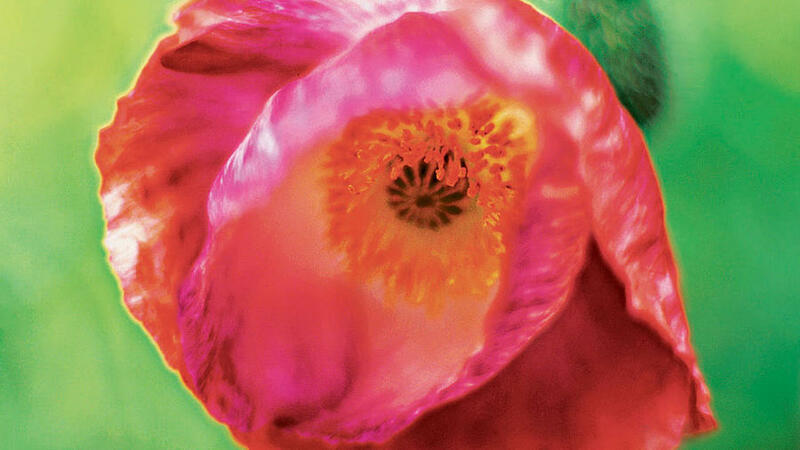 Iceland poppies grow 1 to 2 feet tall; flowers are cream, orange, pink, rose, salmon, yellow, or white. They need full sun and moderate to regular water. 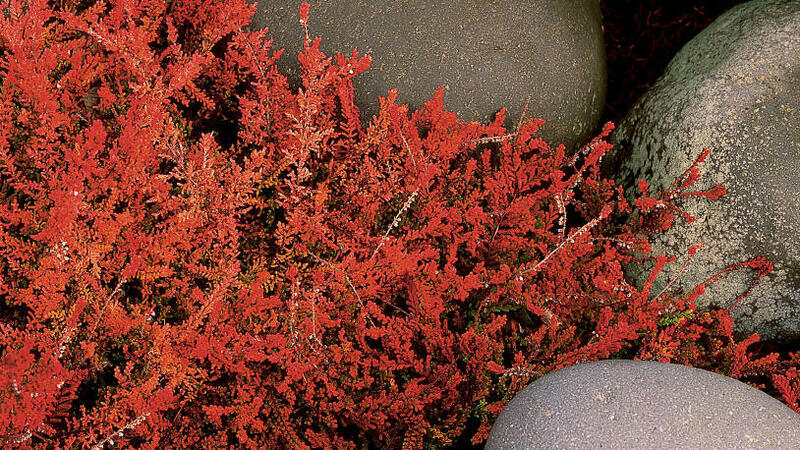 In mild-winter climates, set out plants in fall or winter for months of cool-season color. Pick flowers freely to prolong the show. In cold winter areas, sow seed in earliest spring for summer bloom; or set out plants in fall for bloom the following year. Nemesia grows to 2 feet tall and 1 foot wide, with small bright green leaves and upright stems. All nemesia need well-drained soil, full sun, and regular water. Some nemesia have intensely fragrant blossoms; others are unscented. If you live in a mild-winter climate, you can sow seeds in fall for winter and spring bloom. Pinch to improve bushiness. Remove faded flowers to prolong bloom. 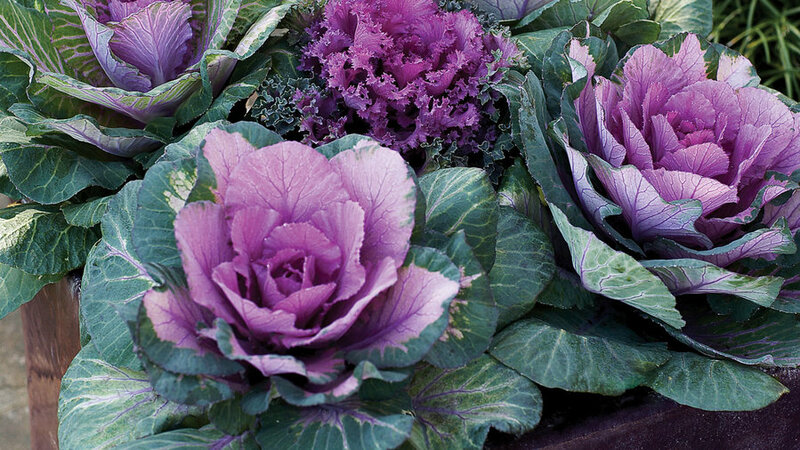 Because these showy cabbage relatives tolerate cold weather and can hold their brilliant color all the way into spring, they're ideal for display on porches, patios, or beside entryways, or for massing in garden beds. They grow 1 to 2 feet tall. 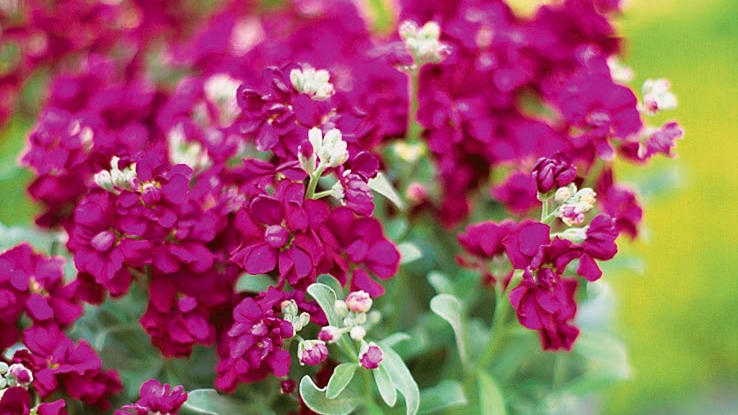 These low-growing plants (6 to 10 inches tall) with five-petaled flowers are top sellers year after year for good reason. 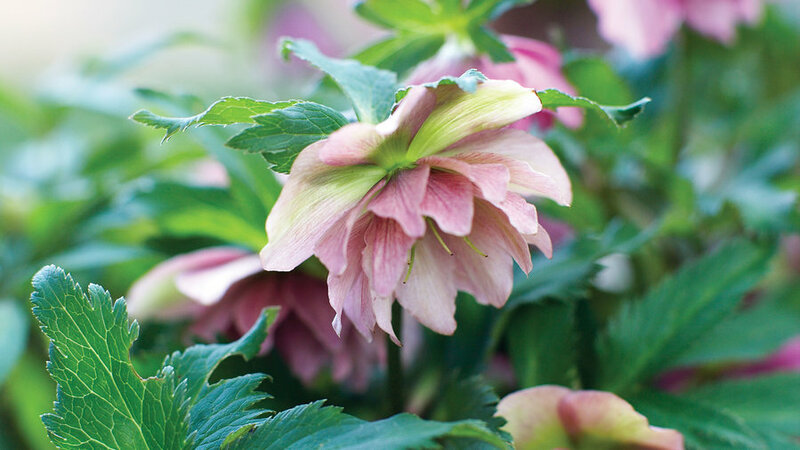 The large-flowered, faced varieties may catch your eye first in nurseries. But when planted en masse, nonfaced, single-colored varieties are often more striking. Most primroses bloom in spring or summer, but English primrose (as well as fairy primroses and Chinese primroses) are also excellent choices for winter color. Circular flowers arise either alone or in clusters from a foliage rosette. 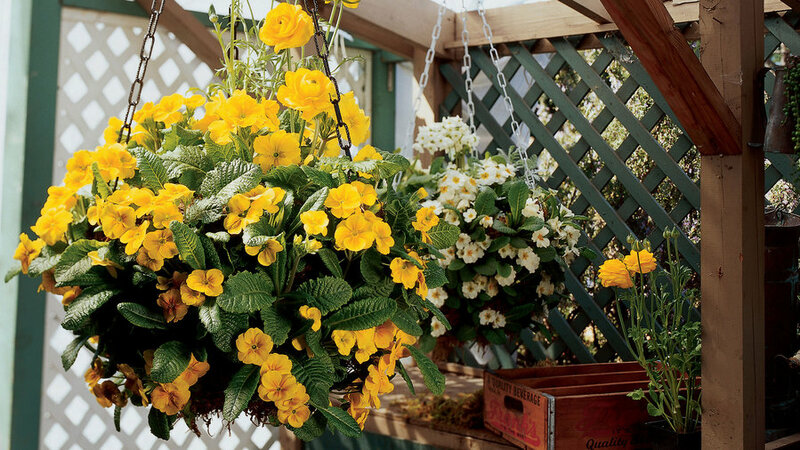 English primrose (pictured here) comes in nearly every color and grows 8 to 12 inches high and 9 inches wide. Primroses can take full sun in cooler climates, part to full shade otherwise. All need regular water. Flowers come in many colors and are divided into upper and lower “jaws.” Some have double flowers, some are bell-shaped, and some blooms look like azaleas. Flowers shoot from 1-3 feet tall and 6 inches to 2 feet wide. Set out plants from fall to spring in mild-winter areas. All take full sun and regular water. Plant this old-fashioned favorite for its narrow gray-green leaves and profuse spikes of spicy-sweet smelling flowers. Take your pick of white, pink, red, purple, lavender, blue, yellow, and cream. 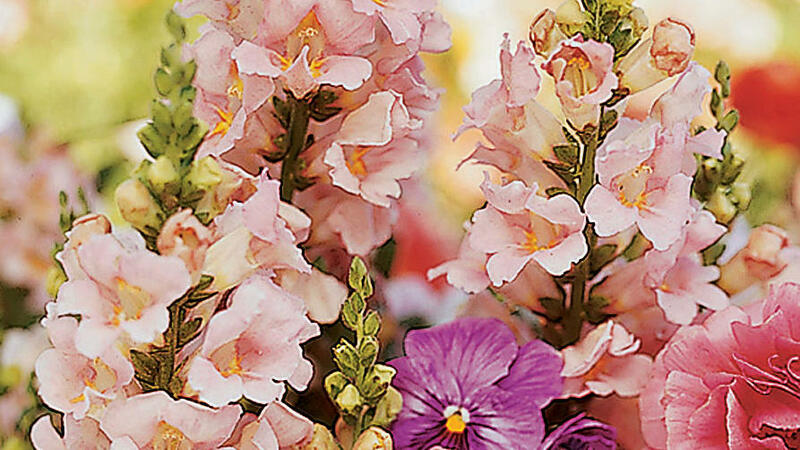 Stock varieties range from 1 to 3 feet tall and 10 to 16 inches wide. All perform best in full sun or light shade and appreciate regular water. In cold-winter areas, plant in earliest spring (choose early bloomers). Stock needs good drainage, so where rainfall is heavy, plant in raised beds. The slender, willowy stems of this jasmine stand out beautifully in a winter landscape. Bright yellow flowers appear in winter or early spring, before handsome glossy, three-leafleted leaves unfurl. Don’t be disappointed though – the flowers on this jasmine are unscented. The vine will reach 4 feet high and 7 feet wide if unsupported. Train it on a trellis or wall and it will grow to 15 feet tall. 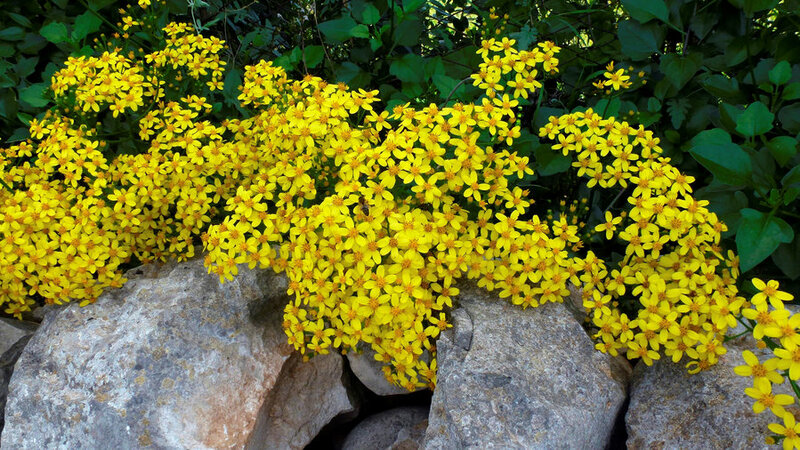 Winter jasmine will grow in less-than-perfect conditions but will be a most prolific bloomer in full sun and good soil. Cut back heavily before spring growth occurs to keep tidy, and pinch as needed throughout the year to control growth. 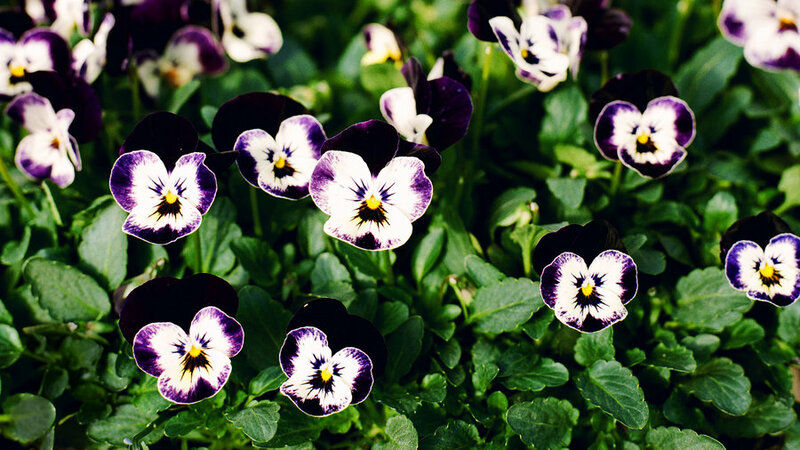 Like their relative the pansy, violas light up gray days with happy colors and sweet fragrance. They’re a wonderful overwintering plant and self-sow readily. Rain really beats down pansy flowers, but violas bounce back quickly. 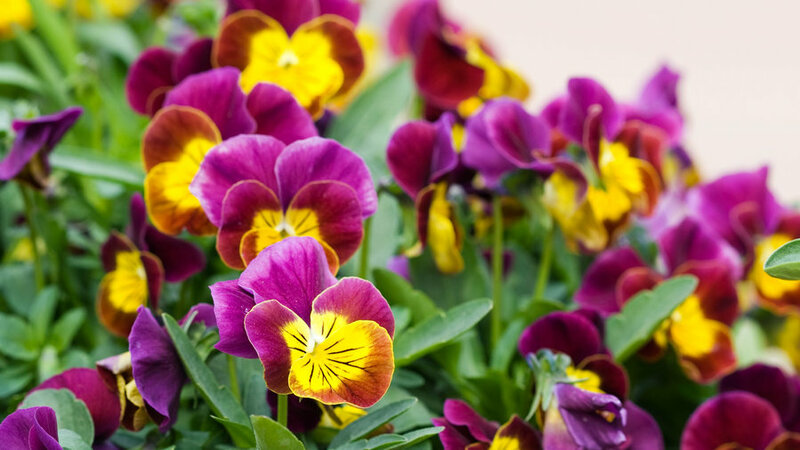 Use violas for mass color in borders and edging, as covers for spring bulbs, or for quick color in winter containers. Violas take sun or part shade. Pick flowers to prolong bloom. Remove plants in summer if they begin to look ragged.